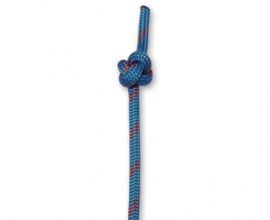 The Clove Hitch is a quick easy knot to tie lines to poles in a hurry. 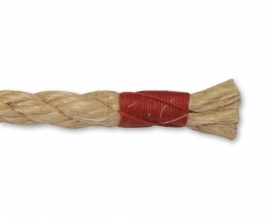 Although the it is a commonly tied knot and great for a number of occasions, it does have a tendency to slip and should only be used as a temporary binding or mooring knot. 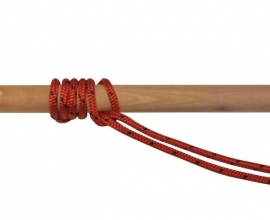 The Clove Hitch can be tied with two different methods; one for all situations (normal clove hitch) and a slightly quicker on that can only be used on open ended poles when the rope is not under pressure (quick clove hitch). 1. Throw the rope over the pole. 2. Pass it back over the pole, crossing the working end over the standing end. 3. Tuck the working end through underneath itself so that it’s parallel to the standing end, pointing away from each other. 4. 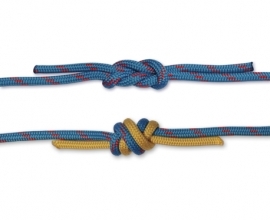 Pull the standing end (if this is not under pressure already) and working end in opposite directions until knot is tight. 1. Create a crossing turn by passing the working end underneath the standing end. 2. Make a second crossing turn by passing the working end underneath itself. 3. Slide the right loop on top of the left loop. 4. 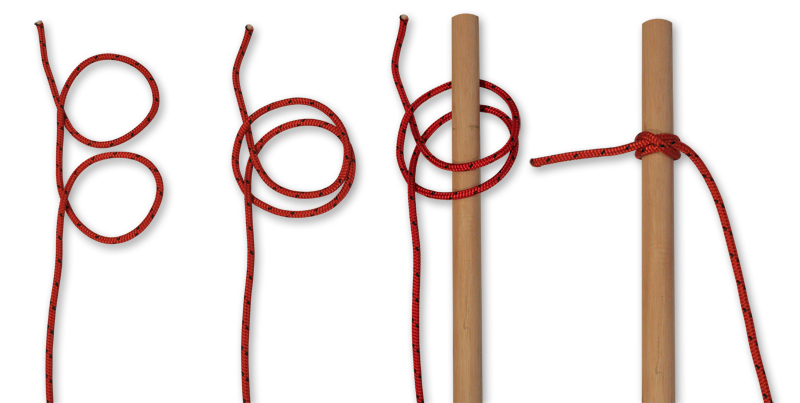 Slide both loops over a pole and pull each end in opposite directions.